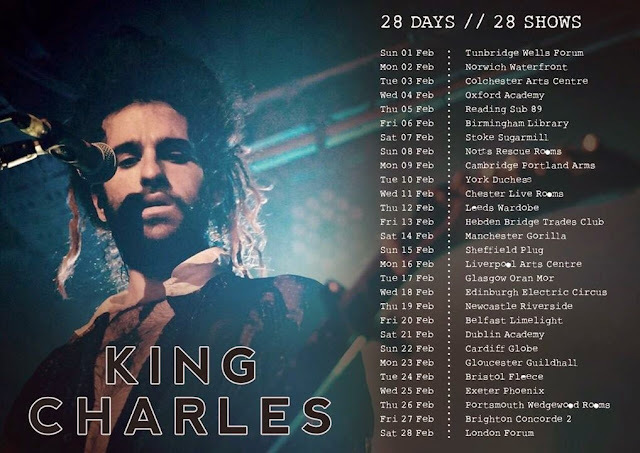 The magnificent King Charles performing his new track Carry Me Away, taken from his second album which we can expect in early 2015 (I hope!) for Sticky Sessions. The absolutely brilliant Sivu has just announced a mammoth UK tour for Feb/March 2015, starting with a home town Cambridge show on 25th Feb and ending at Brighton on 28th March. He'll also play a London show on 24th March. I massively recommend getting to one of these shows if he's playing near you, he puts on a fantastic live show - recently to the enormous Earls Court, finishing up his support tour with Bombay Bicycle Club. Most importantly he makes and plays superb music, and his debut album, Something On High, is probably my favourite of 2014. Just stumbled across this video that I thought was worth sharing - Everything Everything playing My Kz, Ur Bf for Mahogany Sessions. Love these guys but aside from this track I've only checked out their latest record, Arc (which is superb, if you were wondering.) Consider their first album added to my wish list! I've been to two wonderful gigs this week, a welcome break from my rather large list of deadlines. I think the gigs I've been able to go to have probably been my highlight of this first semester at uni, as there aren't many gigs in my hometown so I usually have to travel to things! The first of these was The Sea & I on Wednesday, headlining The Islington in London, where they were joined on stage by London Chamber Brass and London Contemporary Voices, and supported by Stephanie O'Brien. I've been waiting to see the band for a long time but have never had the chance as shows have been too far away, or 18+, so as I'm living closer to London and I'm 18 I had to snap this one up! They played a superb set, really immersive, quite an experience! They played most tracks from their two EPs, and a couple of new ones, which worked really well. I got this video of their track Improve, my favourite from the first EP (official video here.) Overall a really fun night, and nice to see so many friendly faces, most notably one of my lecturers from uni.. who happens to be housemates with the band's manager. Small world! The second gig was Adam Barnes last night at The Cellar in Oxford. He's just finished up a tour of venues around Europe and the UK, playing over 30 shows in total, and this was the final night of the tour, quite fitting as a full-band hometown show, surrounded by his friends and family. Adam and his band put on a fantastic show, a highlight of which was a beautiful unplugged encore of his track Come Undone played in the crowd. Also worth a note is the support Willie J Healey, who played a really fun and energetic set, and is currently working on an EP. The video I got, below, is of the track Kurushio Sea, taken from Adam's debut album The Land, The Sea & Everything Lost Beneath. Now to try and complete a lot of uni work this week before Bombay Bicycle Club, Peace, and Sivu at Earls Court on Saturday! Absolutely love this video, of Sam Beeton performing his track Jeckyll and the Man. The big and fantastic news of this week is that Sam has finished work on his record, which is set to be released at some point in January 2015. It is called In The Yard and gigs should follow soon! As well as this Season 2 of Sam's unique Record Club (a subscription style music release service) will recommence soon. Fun fact: this track was first performed on my sofa. Video here. Check out this video of Sivu performing his track Better Man Than He for backstage at Leefest earlier this year. Beautiful! 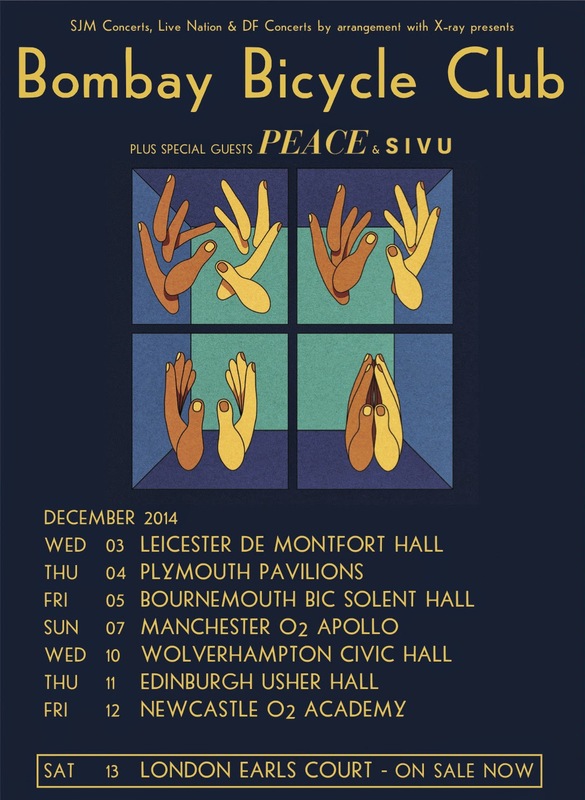 Sivu plays alongside Peace supporting Bombay Bicycle Club on their UK tour kicking off on 3rd December in Leicester! Really excited about this one.. following the announcement of a few UK and US warm-up shows, The Wombats have today announced a full UK/Europe tour. The tour in the UK will see them starting at Bristol on April 8th, and visiting Manchester, London, Oxford, Liverpool and more before finishing up at Newcastle on the 19th. Tickets go on general sale this Friday from www.thewombats.co.uk, or you can access the pre-sale by signing up to the mailing list using the same link. Incredibly excited to finally see The Sea & I live next month, as I've been desperate to see them live since they first started releasing music. Co-founded by Irwin Sparkes of The Hoosiers fame, they make glorious music, with beautiful harmonies, lyrics, strings, and using anything and anyone they have to hand. Collaboration is a major factor of their music, and at their headline London show in December they'll be joined by London Contemporary Voices and London Chamber Brass. This video shows a performance of Broken, a track from their self-titled debut EP. Tickets for the band's London headline show on 3rd December at The Islington can be found here. I (sadly) haven't been able to grab Ben Howard's new record yet, but I went against my beliefs and downloaded Spotify (probably best not to start me ranting about it) to take a listen. And it's utterly superb. Sharing this video of one of my favourite tracks from the album, Small Things. When I first started listening to Ben following the release of Keep Your Head Up and its consequential play on MTV Rocks, I just missed out on seeing him play a small venue for something ridiculous like £6, and I regret this completely! Sadly won't be seeing him on next year's tour, but have just got to see him live at some point soon. Really chuffed for him that the record is doing so well, and for the widespread recognition he's getting - incredibly deserving! Tour dates and ticket info is here. Choosing to see Nick Mulvey last month on his UK tour as Sivu was supporting was probably one of the best decisions I've ever made. Nick and his band were remarkable live, and delivered an incredibly atmospheric and compelling set, and his record First Mind is completely worthy of the Mercury Prize nomination it received. Check out this beautiful video filmed in Australia for the track I Don't Want To Go Home, a track co-produced by Johnny Flynn. Bringing this video of Sam Beeton back as I completely adore this demo! Incredibly excited for new music to emerge and to see the fruits of Sam's labour, feels like he's been working hard on this record for a long time! Amber Run performing their track I Found with London Contemporary Voices for The Mahogany Sessions. These guys are superb - played a cracking set at the Art Bar in Oxford last week on the Communion New Faces Tour, and they just announced their biggest headline show to date at London's Dingwalls, tickets here. It's been over a month since Sivu released his debut album, Something On High, and I'm still listening to little else. The sound is intense, with dark, though often catchy lyrics mixing with beautiful strings to make an impassioned record, and one that I can safely say is one of my favourites of the year, if not of all time! In honour of this here's an acoustic demo of one of my favourite tracks from the record, Sleep. Adam Barnes covering Wheatus' Teenage Dirtbag acoustically (and beautifully) for TMRW Magazine. Loving this guy at the minute since seeing him at Oxjam Oxford. He's currently on a tour which culminates in a hometown full band show at The Cellar in Oxford on December 6th, tickets here. I was lucky enough to see Fyfe, along with Pixel Fix, Kimberly Anne and Amber Run (who I did not anticipate were loved so much by so many people!) last week on the Communion New Faces tour. 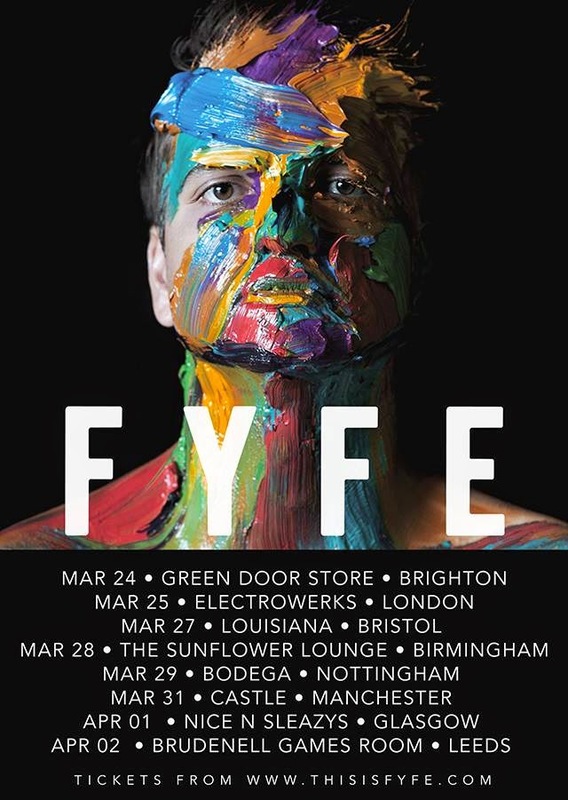 Really enjoyed Fyfe's set and found him really compelling, and I'd be interested to see what one of his headline shows is like! Heartwarming once more to see an artist slightly flustered when the audience were requesting, and singing along to his track For You, which features on the record. 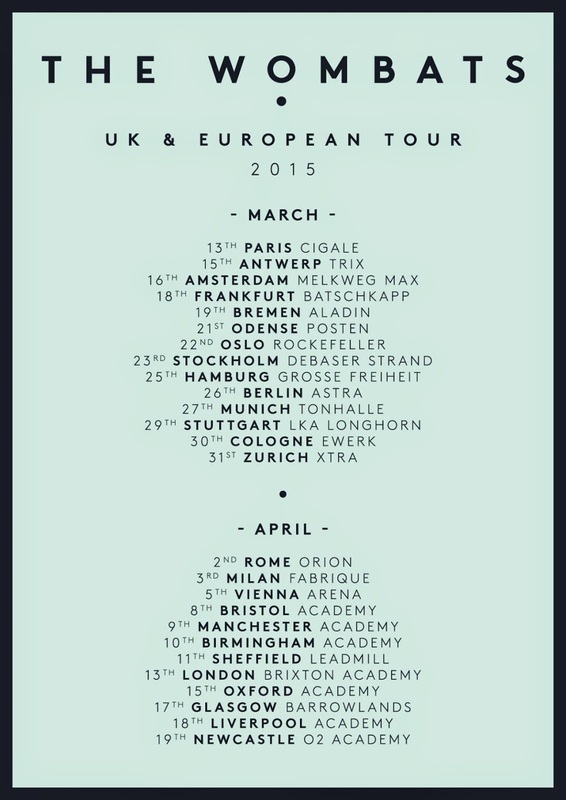 Tickets for the tour can be found here, and you can preorder the album on iTunes here. George Ezra's new video for Listen to the Man, a really simple idea but excellently executed and starring Sir Ian McKellen - how could it get any better?! Dry The River performing Alarms In The Heart acoustically for The Line of Best Fit - love this!! 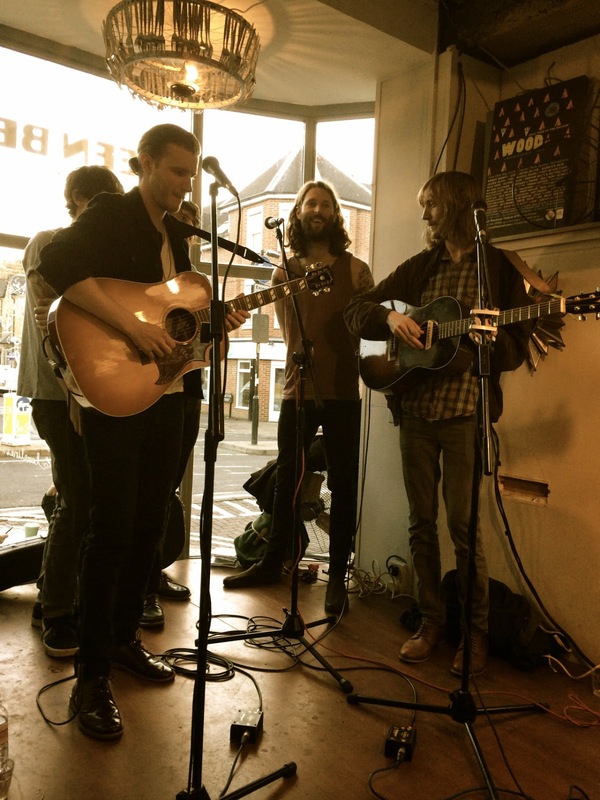 My photo of Dry The River playing an acoustic set at Truck Record Store in Oxford before their show at O2 Academy last week! Last week I saw Nick Mulvey play to a sold out O2 Academy Oxford, with support from Sivu. It was a mixed crowd to say the least - screaming young girls to the left of me and a family with some young (8/9 year old) boys to the right. The appeal of Nick's music is clearly wide, which is never a bad thing. Furthermore, appeal is clearly quite big considering the show, and many of the others on the tour, was sold out. Having only really taken a few listens to tracks from his debut album First Mind I wasn't exactly sure what to expect of his live show, but I knew that the Mercury Prize 2014 nomination the record received could only be a good sign. And with Sivu supporting I knew I was in for a treat regardless. His set, played solo and acoustically, was stunning and the crowd (though slightly restless from waiting over an hour after doors were opened) were respectful. Sivu, aka James Page, admitted being nervous as he usually played with a band, though these nerves didn't show in his performance. Mulvey came out to screams, and set the tone of the evening straightaway with the atmospheric April. I found his set incredibly captivating, and was blown away by the way that he made his style of playing guitar look so effortless. The set contained tracks mostly from the debut record, to the pleasure of the crowd, and even included a couple of solo performances. Much to the crowd's excitement the band even played their Radio 1 Live Lounge cover of Drake's Hold On, We're Going Home cover (video) igniting a loud sing along and livening up the crowd leading up to the encore and title track, First Mind. All in all, meeting both Sivu and Nick after the show and purchasing two fantastic CDs (that I have since been playing on repeat) and making it back to my halls easily after my first solo outing to a gig whilst at uni, I had a wonderful night. Live dates for Nick Mulvey can be found on his website here, his UK tour continues until 31st October, with Sivu supporting throughout. Later this year, Sivu supports Bombay Bicycle Club on their UK tour. Sivu released his debut album on the 13th, more info here. This week James Page, aka Sivu, released his debut album Something On High. Describing his music as 'alternative pop' and citing influences from Wild Beasts to Frank Sinatra, he's likely to appeal to fans of artists such as Bombay Bicycle Club, who he tours with later this year alongside Peace. You can stream the whole album above, and get it on iTunes, Amazon, in record stores etc, and I wholeheartedly recommend that you do - it's already one of my favourite records of the year. Particular favourites of mine from the album include Sleep and the hidden track Family Tree. Currently touring as support act for Nick Mulvey, Sivu took a day out from this tour to play a stunning headline London show (video) at Oslo Hackney on Tuesday night. In the past he's also played alongside the likes of Rae Morris, London Grammar, Marika Hackman and The Staves. He's certainly one to watch and has already received critical acclaim from The Guardian, Sunday Times and NME. Furthermore he played in session for Huw Stephens on Radio 1 earlier this week. Dry The River perform Gethsemane acoustically for Reading & Leeds festival. The band's second studio album, Alarms In The Heart, was released this week, and they tour the UK in October! Decided to check Peace out as they're supporting Bombay Bicycle Club in December when I see them, loving this song, Lost on Me, and the video is pretty cool too. Look forward to their set! A little late to the party but Bombay Bicycle Club are going on a UK tour in December - tickets here - starting in Leicester and finishing up with the band's first arena show at London's Earls Court. Support on the tour comes from the brilliant Sivu and Peace, but I expect that appearances by the likes of Rae Morris and Lucy Rose might occur at some points on the tour as well! New Dry The River video for Everlasting Light - a track taken from the band's upcoming album Alarms In The Heart which is released on 25th August! I recently bought tickets to see Bombay Bicycle Club at Earls Court in December, and on their latest record So Long, See You Tomorrow Rae Morris features on the track Luna. I decided to take a listen to some of her music and I really like this track which is getting some airplay at the minute and features Fryars! I haven't posted in what seems like an age, because I've been spending my time revising (or sitting and thinking that I should be revising) for my A2 exams. I finished school for good nearly 2 weeks ago and now seems like a good time to try and get back into posting here more regularly. What better way to return but with the excellent news that Dry The River last week finally announced news of their new record, Alarms In The Heart which is to be released on 25th August. The album is available to pre-order in a number of packages, more details of which can be found here. Furthermore, the release of the album will be supported by a tour in October, dates here. I saw the band on a fairly small tour in June 2013, at the Portland Arms in Cambridge, when they were trying out new material - both the gig and the new tunes were excellent. Not only technically brilliant, the band are highly energetic in their performances - which came across well even in such an intimate venue. I wholeheartedly recommend that you go and see them - I shall hopefully be at the Oxford show if I end up going to Oxford Brookes uni in September as I hope to! The news of the record release date was also supported by a new video for the track Gethsemane, taken from the record, one of the tracks which they played at the show last year (video). Have a listen and be sure to pre-order/book tickets etc, hope you like the track! New We Were Evergreen video for their upcoming single False Start, taken from their debut album Towards (produced by Charlie Andrew who produced Alt-J’s An Awesome Wave) which is released on 5th May. This band are VERY good and I wholeheartedly recommend that you go and see them on their UK tour in May. They’re such a great live band (and just finished a support tour with Goldfrapp) making the most of a huge variety of instruments and looping sounds to create a truly fantastic sound. I saw them just over two years ago and since then their music has progressed a lot, and their sound has become a lot more techno - which is never a bad thing. 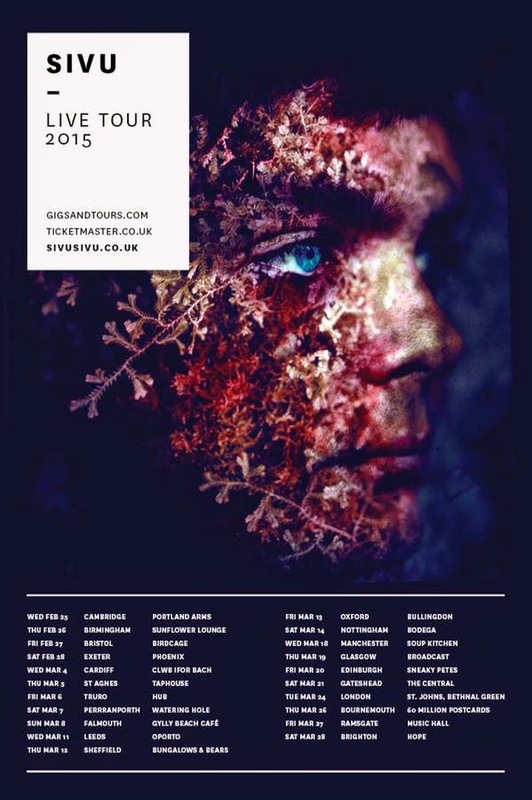 For more info on the album and the band’s UK tour in May visit their website here. 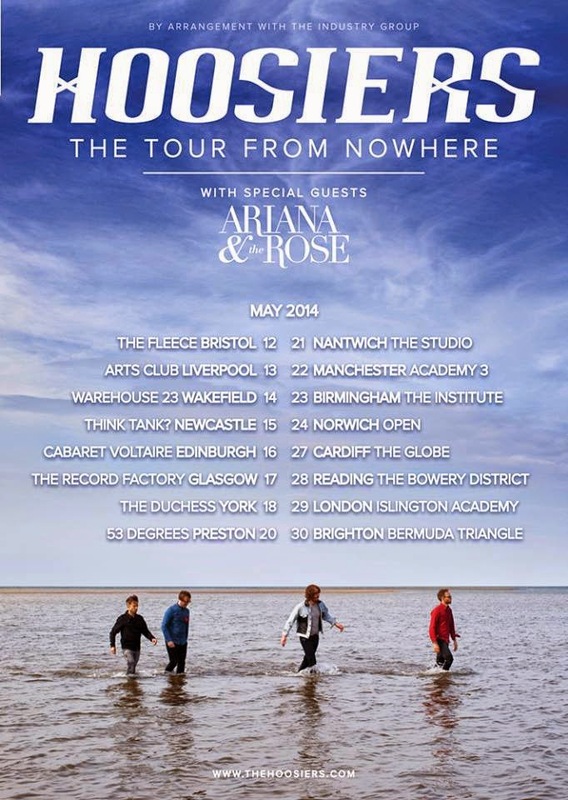 The Hoosiers release their third studio album The News From Nowhere officially on 14th April, and you can catch them live on 'The Tour From Nowhere' during May. New Twin Atlantic track Heart And Soul just got it's first radio play on Radio 1 as Zane Lowe's Hottest Record of the Week. Their third studio album is expected to be released this summer. 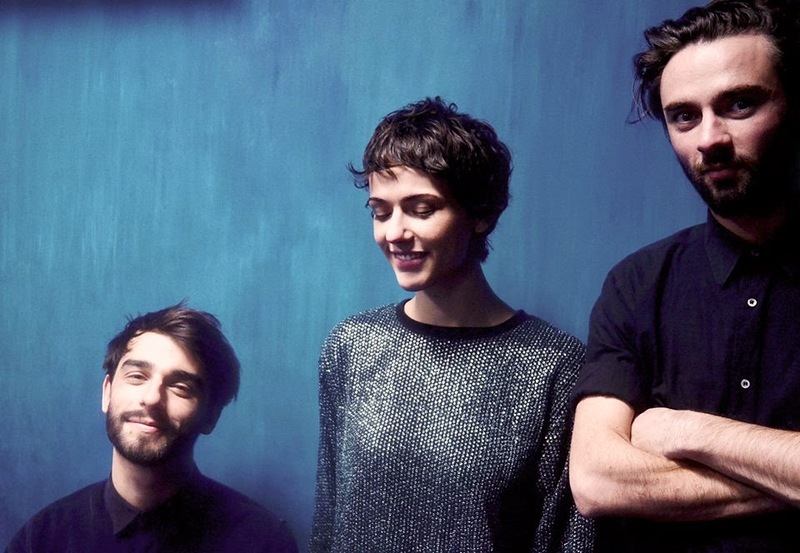 The brilliant We Were Evergreen performing Daughters at a Sofar Sounds show in London. Can't wait to see these guys in Cambridge in May on their Towards tour, in support of their forthcoming debut album of the same name, which I am equally as excited about - info about the album and tour here. Check out this new video for the second single from the album Make Or Break (You Gotta Know). Half Moon Run playing Nerve in session for BBC Radio 1 last year. One of my favourite bands, The Hoosiers, are back after a couple of years of doing the odd gig and trying out new things, and they're releasing their third studio album The News From Nowhere on 3rd March. You can pre-order the album in a sort of Kickstarter-esque manner, with the band using the money from preorders and putting it straight back into the record, towards actually releasing the album (including promotion etc.) For more info on that and the different packages available go here. But for now.. take a listen to this wonderful live version of Worried About Ray from Nobu Unplugged! Foster The People yesterday announced that their second studio album Supermodel will be released on March 18th. This video accompanies a track from the album, entitled Coming Of Age (which is pretty great and quite what you'd expect from the band if Torches is anything to go by) but also shows a time-lapse of quite an incredible murial of the new album cover. This Canadian band, Half Moon Run, have such a lovely, fresh sound. Beautiful harmonies displayed perfectly in this live session of their track Full Circle, which was Single Of The Week on iTunes a little while ago. I've been listening to the band's debut album Dark Eyes a lot recently (tip: it's quite good for studying to) and it's definitely one of the best albums that I purchased last year - finding it difficult to choose just one track to recommend as the whole album is pretty great. The Mahogany Sessions is one of my absolute favourite Youtube music channels, they make such great videos and with really wonderful musicians and this is no exception. Really worth a watch.